Location: 12 miles north of Juneau on Glacier Highway. 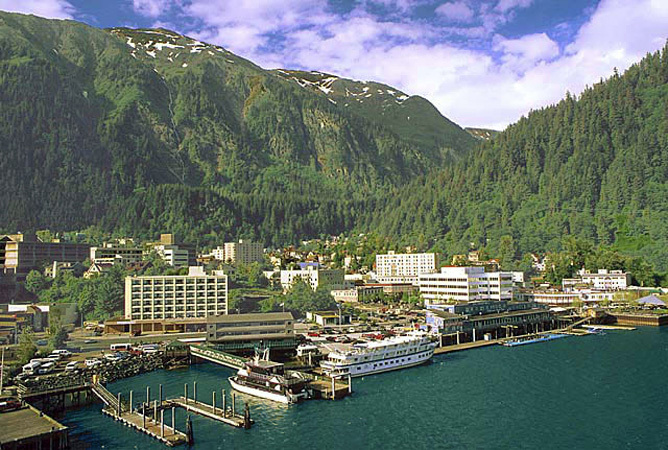 Auke Bay is the location of the Alaska State Ferry Terminal for Juneau. Here, the Alaska Marine Highway vessels allow hundreds of passengers and/or their vehicles to disembark for another location along the coastline. In Auke Bay you will find several fishing charters located at the Auke Bay Marina, which offer salmon and halibut sport fishing. 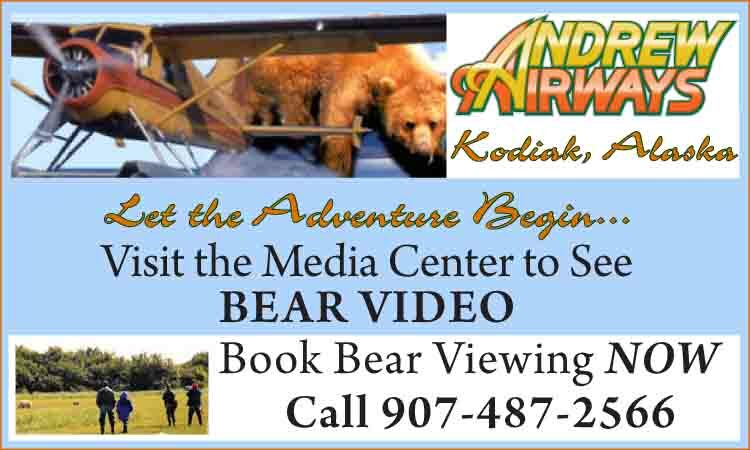 Or take a sightseeing trip to view whales breaching in the inlet, bald eagles and brown bears within the evergreen forests. Auke Bay is a major destination for people wanting to get out on the water. 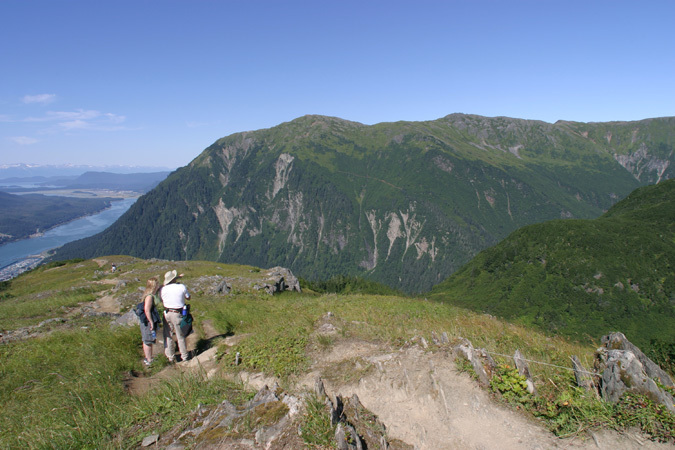 It sits 12 miles north of downtown Juneau and boaters and kayakers will find themselves in the middle of the Tongass National Forest and among thousands of islands of the Alexander Archipelago. This makes for some incredible exploration by boat and kayak. 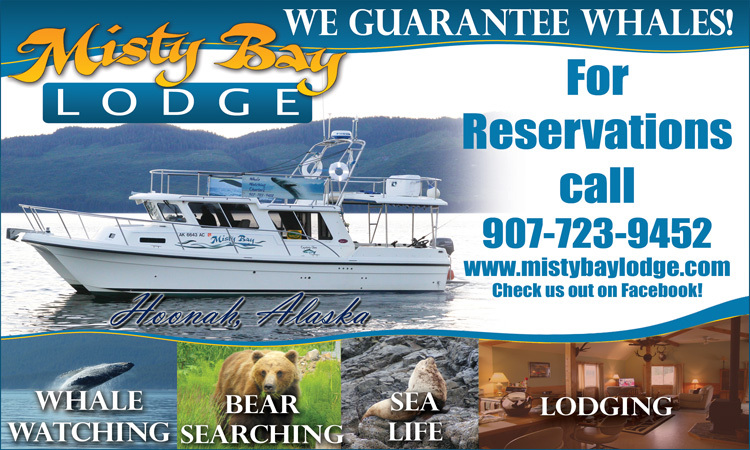 Both modes of transport are available right from the Auke Bay Harbor, with or without a guide. Visitors with outboard motor boat experience can rent 16 to 22 foot boats that carry up to six people for sightseeing and fishing. Fishing tackle is also available for rent; or if you'd like some expertise, hire on with one of the many fishing guides that operate from Auke Bay. This is a popular activity throughout the summer, so try to book ahead of time. There are five species of salmon, halibut, rock fish and cod all within range. If kayaking is more your style or you've always wanted to try it, Auke Bay is great place to learn with its protected waters. Instruction and rentals are available at the small shack surrounded by colorful kayaks in the Auke Bay harbor parking lot run by Alaska Boat and Kayak. They offer classes in sea kayaking and rent stable single and double kayaks. 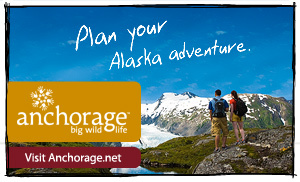 You can also hire a guide for all or part of the day and paddle in a number of other areas outside the Auke Bay area. Berner's Bay at the north end of the road system offers more of a wilderness setting with less boat traffic. Here paddlers can view petroglyphs and waterfalls along with wildlife and the beauty of a large estuary where three rivers flow. Kayakers can also be transported to paddle on the lake at the base of the Mendenhall Glacier right in Juneau. This spectacular paddle takes kayakers across the face of the glacier, through icebergs and along shoreline with a large waterfall and nesting shore birds. The Auke Bay area offers some of the best humpback whale watching in southeast Alaska. Whales can be seen singularly or in groups of a dozen or so, hunting for herring. The area is rich in other sea life as well, including curious seals and sea lions, porpoise and river otters. Bald eagles nest in tall spruce along the shorelines and can be seen soaring high above. For longer stays of a week or more, you can charter a boat or lease a yacht complete with skipper and crew and take the whole family on an extended exploration of nearly villages, fjords, bays and inlets. Maps and charts are available at local stores. Auke Bay is also home to the Auke Bay Laboratory, which is a unit of the Alaska Fisheries Science Center, National Marine Fisheries Service, National Oceanic and Atmospheric Administration and US Department of Commerce. 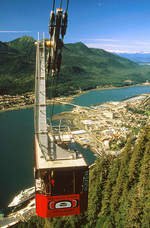 The ABL has a staff of about 70 scientists located at its main campus in Juneau. 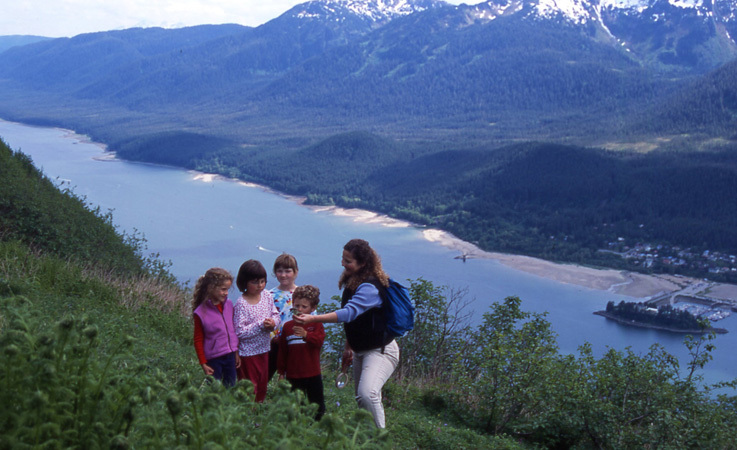 Auke Bay is a peaceful community offering several bed and breakfast accommodations. A campground is across from the marina, and a Tesoro service station with groceries and fishing supplies is located at the entrance to the marina.